I like LA. There I said it. When Europeans come to America they are supposed to be divided into New York or Los Angeles types. When the English writers W. H. Auden and Christopher Isherwood crossed the Atlantic in the late 30s Auden stayed in Manhattan and Isherwood went to LA where he remained for the rest of his life. Auden was the arch New Yorker, restless, edgy, sceptical and cosmopolitan. Isherwood was more prone to mysticism and mellow introspection. When I am asked if I like LA and reply that I do, it is common for my interlocutor to say, “Really? I would have put you down as a New York type.” But you see I AM. I had an apartment in Manhattan for many years, I go there as often as I can. I adore the city. But I love Los Angeles AS WELL. And I have found I can sustain these two supposedly opposite and mutually exclusive affections without tearing myself in two or exploding in a fireball of self-contradiction. In fact I’ll go further, if there’s one thing that gets my goat, curries it and serves it up on a bed of flaming indignation, it is this habit of dividing the world in two. Which reminds me of an old geek joke. “The world is divided into 10 types of people. Those who understand binary and those who don’t.” Pause to allow you to wipe the tears of helpless laughter from your weeping eyes. But damn it bothers me when the choice of one thing is interpreted as a necessary repudiation of the other. People are always doing it. “You’re either a Beatles person or a Rolling Stones person” I’ve heard them say. Tummyrubbish. Balderpiss. Arsegarbage. A couple of months ago someone asked me what I was up to and I mentioned I was making a documentary about Richard Wagner. “Oh, I would have thought you liked Beethoven,” they said. I was too polite to pick them up by their scruff of their necks and shake them violently back and forth, but I mean WHAT? “Why’ve you got a Norwich City shield on your Twitter avatar? I thought you liked cricket.” “You just quoted Family Guy” – I thought you liked The Simpsons”, and so on and so on. I mean, really. I like LA and I like New York. And it is the fact that they are so very, very different that makes me like each all the more. They each serve and satisfy a different part of me. As do town and country, wine and beer, swimming and walking. Seems mad to define oneself, to limit oneself, doesn’t it? One thing that New York can never offer is the sight of a great Hollywood Sound Stage. This is the one I’ve been filming in today. Marilyn on the wall. 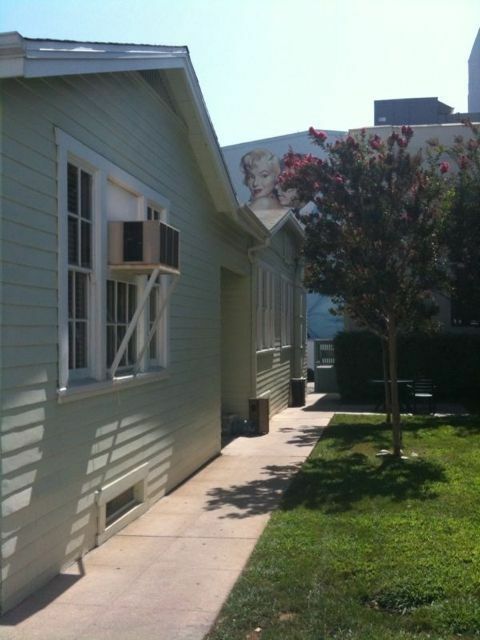 I mean, what’s not to like… Plus there’s Clarence, the security guard on one of the gates to the Fox lot. Every time I come in he reads me one of his poems and tells me and my driver that he loves us. As does Jesus apparently, which is nice of him. Well I certainly love Clarence – incredibly hard not be cheered up by such optimistic bonhomie and unconditional friendliness. 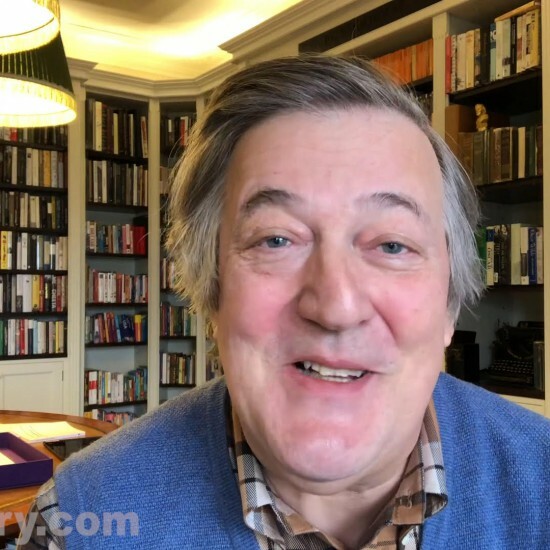 “Oh but Stephen, I thought you were an atheist. How can you like someone who isn’t? Surely that’s impossible?” Grrrrrrrrrrrrrrrrr!